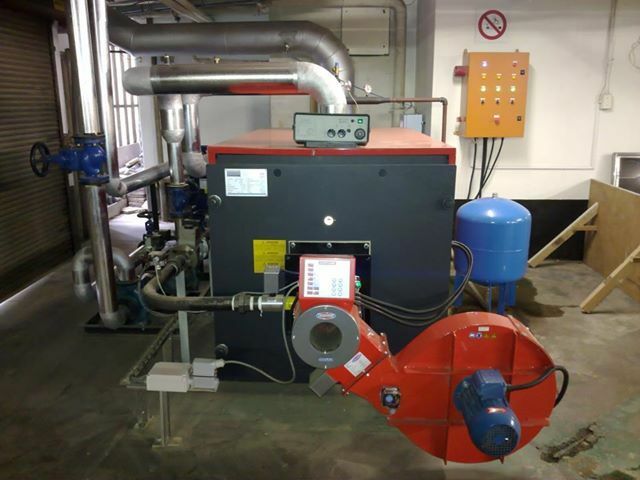 Based upon the rising electricity costs and the number of customer complaints regarding the supply of hot water, Combustion Technology was appointed to install an energy saving and reliable hot water system at The Parktonian Hotel situated in Braamfontein, Johannesburg, South Africa. Limpsfield LCN9 Burner with sub 3% O2 emissions guaranteed throughout the range. Autoflame Exhaust Gas Analyser (EGA) System. The installation occurred in May 2012 with July being the first full month where our system ran on its own without assistance of the electrode boilers. We have as a comparison, energy usage of Jul/Sep 2011 and Jul/Sep 2012, with Jul/Sep 2012 having a higher occupancy rate than the previous year. The management of The Parktonian Hotel are impressed by the results. Customer complaints have dropped to four – none of them relating to our system. No complaints, as in the past, were related to insufficient hot water. Cost savings already filtering through and the impact on the environment is reduced with the use of clean energy.